We know you’re aware of how passionate our Sisters are about their ministries to families. 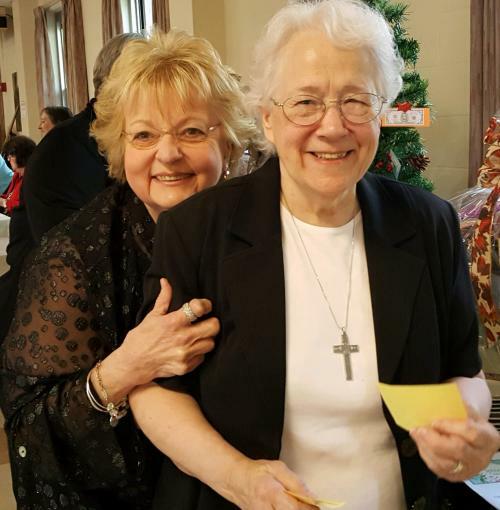 While they serve families in many ways and in many settings, in all cases, our Sisters are very devoted to those to whom they minister. Some of these ministerial jobs are paid positions, but many are volunteer. 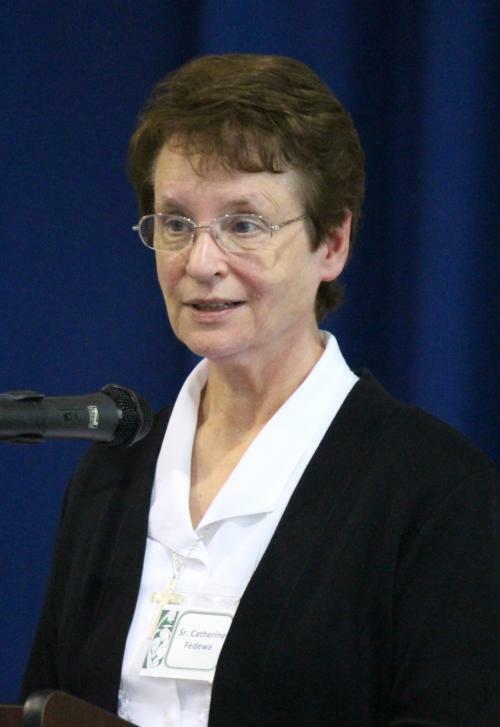 For example, Sr. Catherine just completed a term as a member of our Provincial Leadership Team and has now taken a part-time paid ministry working in the area of outreach and advocacy for immigrants. In addition, she has several volunteer roles. She serves on the province Peace and Justice Committee. She is a member of Sisters and Brothers of Immigrants, an educational and advocacy group for immigration issues. And, she teaches English as a Second Language at the Aquinas Literacy Center in Chicago. Her current student is a woman from China. Some of our Sisters who can no longer manage full-time ministry work still choose to help where they can. 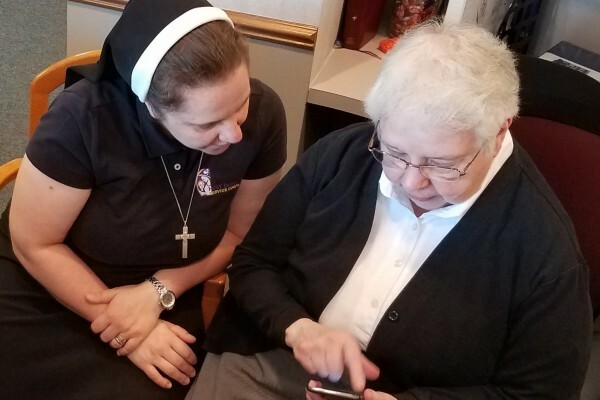 Sr. Virginia drives her CSFN Sisters to doctor’s appointments, helps her older brother and sister-in-law with shopping, and volunteers in our National Development Office (you might see her name on some of your acknowledgement letters!). “One day we noticed her mail piling up, so we called for help. Unfortunately she had died, so we took care of her cats, contacted relatives, helped her relatives plan a Mass for her, and went with her family to the Mass. It sure made us feel good to help and we pray and hope that it made them feel good, too.” Sister will continue to devote time to neighborhood outreach through the local Department of Aging. It is your generosity that enables these and many of our Sisters to focus on their service to children and families. And we know we can’t support them without you. So please, can you help these Sisters by sending a gift of $100, $50, or $25 today? Any gift at all - large, small or in between - is truly appreciated. We assure you, your gift - whatever the amount - will make a difference! Thank you for taking the time to read this letter and for doing what you can. And please, as you return your gift, also fill out your personal intentions so we may pray for you in our daily Masses. You mean so much to all of us and we can’t thank you enough. May God bless you with good health and with much peace and joy. P.S. All of our Sisters minister in some way. CSFN Creations is a group of Sisters who in their spare time knit, crochet, sew, create ceramics, plastic tapestry, etc., then sell these creations at various craft fairs, and donate the proceeds to our sister-supported and CSFN sponsored ministries. When you make your donation you support these Sisters, too! To make an online donation or to download and print our mail-in donation form, please click here.